It is with heavy hearts and great sadness that we at slump.land have to break the news. Dead.Villains' debut album Dead.Villainy is delayed once again. This time it is due to samples not being cleared by iTunes. Sage and KydWahLee are working vigorously to get it greenlit. Everyone should expect the project late this summer. 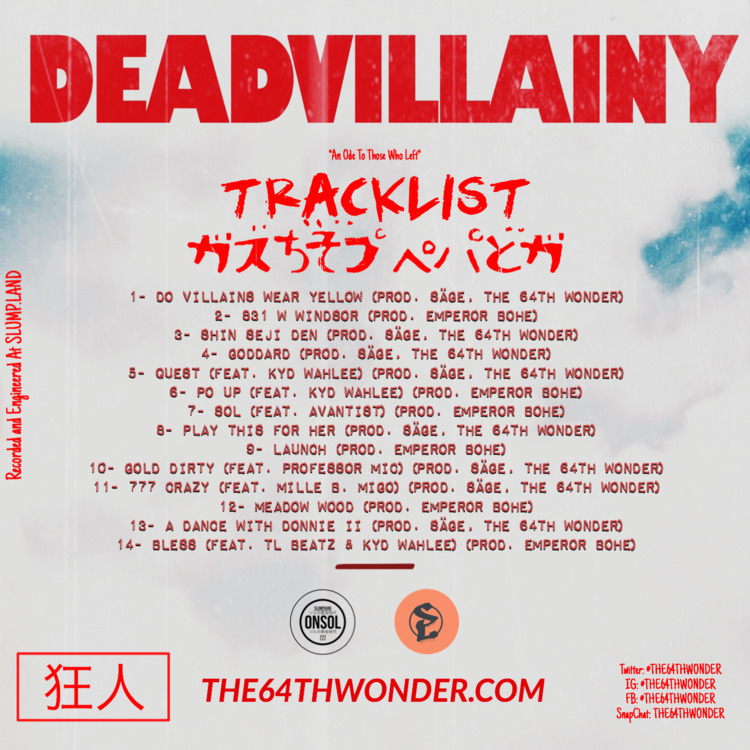 Here is the link to go pre-order it, https://the64thwonder.com/ Go get it and wait for updates on the release!